During a recent filming expedition to Alaska to film for the new travel TV show, Great Escapes, Patagonia was kind enough to provide me and my film crew with some amazing wet weather gear. Even though we were traveling to Alaska in the summer months, it was still very wet and rainy the majority of the time we were there. 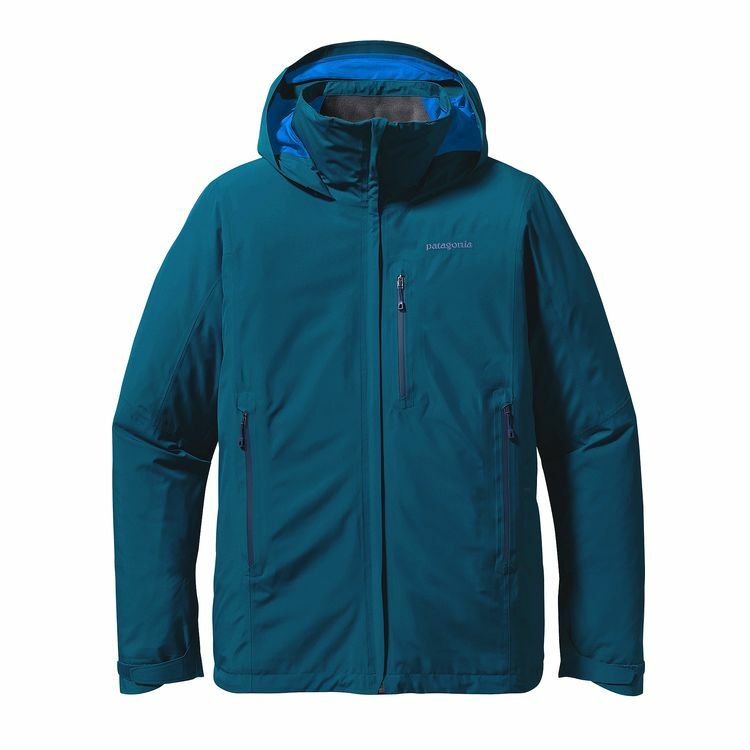 I wanted to give a big shout out and thank you to Patagonia for the waterproof jackets they provided that kept both me and my crew dry during the whole trip! Check out the gear we wore and reviewed! 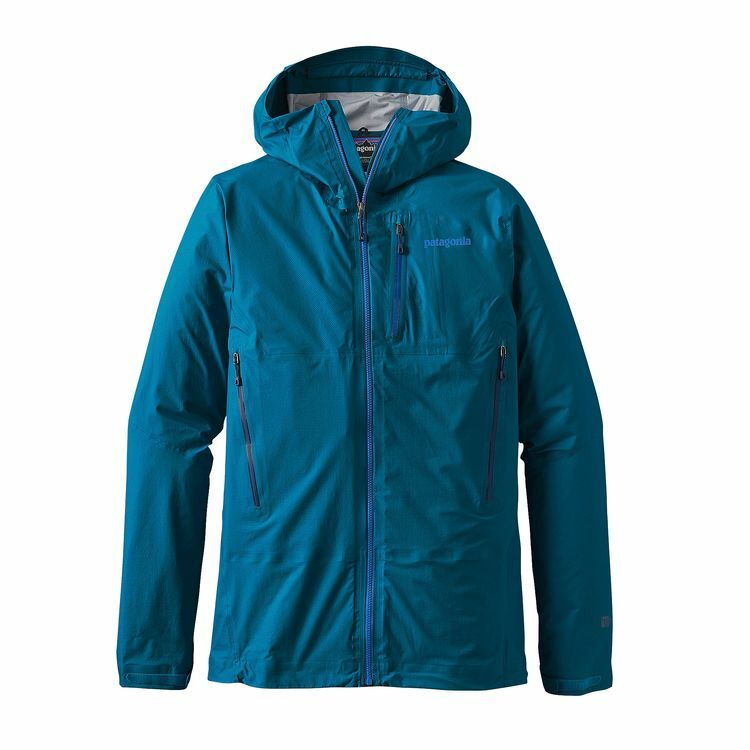 Patagonia provided us waterproof jackets for our trip but did not pay me or my crew any money for this review. 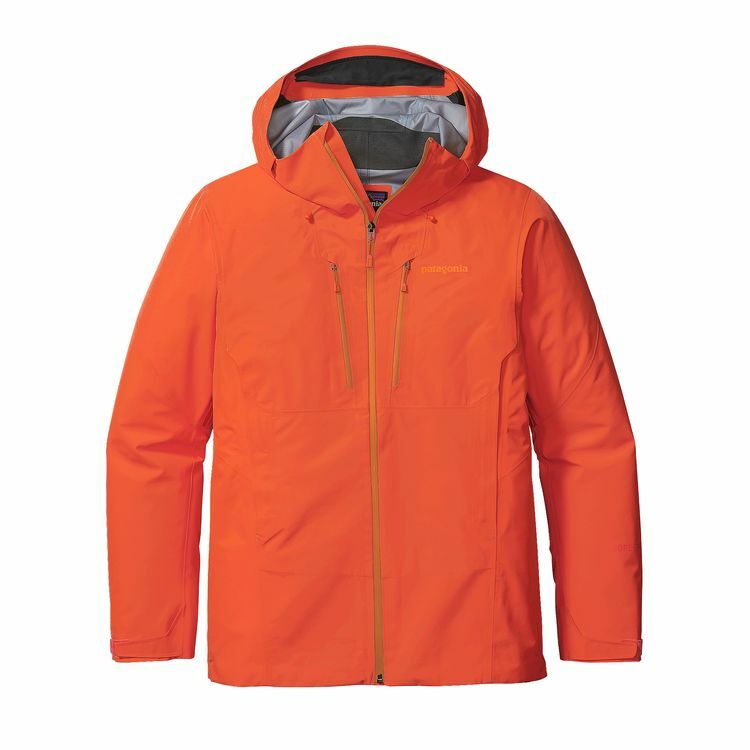 I was really impressed with how the gear performed and would recommend any of these three jackets to anyone looking for new wet weather gear. During a recent filming expedition to Alaska for the new travel TV show, Great Escapes, Under Armour was kind enough to hook me and my film crew up with some awesome outdoor gear! We spent 10 days traveling throughout the Kenai Peninsula in Alaska while filming three different segments for the TV show. Each day, we were on our feet 12-15 hours either hiking, kayaking, canoeing, boating, or exploring the endless untouched nature of Alaska. 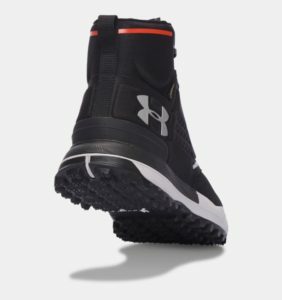 Under Armour sponsored our expedition by providing us with some of their UA Newell Ridge Mid GORE-TEX® waterproof hiking boots which we wore almost non-stop throughout the entire trip. 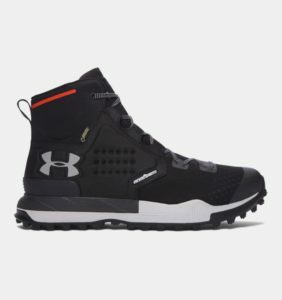 These boots are crazy lightweight (only 16oz) but sturdy enough to tackle the rugged outdoors and hiking trail in Alaska. They are 100% waterproof and we really tested them as it was raining the majority of the time we were there. We visited Alaska during the summer season which means that it’s light almost the entire day. WIth 21+ hours of sunlight, having proper sunglasses is super important. 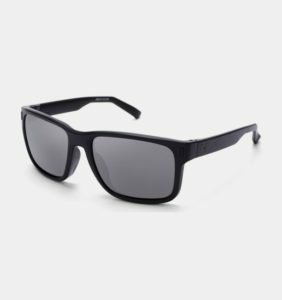 Under Armour provided us with a few pair of their UA Assist and UA Assist Multiflection™ Sunglasses. These glasses were polarized, which was perfect as we spent a lot of time on the water either kayaking, rafting, or fishing. 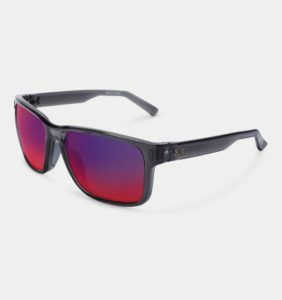 They were super comfortable to wear and the lenses provided a comfortable level of tint as well as UV protection. Check out the gear we wore and reviewed! Under Armourprovided us boots and sunglasses for our trip but did not pay me or my crew any money for this review. It’s taken me almost 15 years to fly another domestic airline other than Delta. Being from Michigan and flying mainly to east coast destinations, I started flying Northwest Airlines, which was acquired by Delta in 2008. When I moved overseas in 2007, Delta was already was my preferred airline as I had already racked up frequent flyer miles and they were almost a winner in the ticket price battle. With Delta’s announcement in February 2011 that SkyMiles never expire I had already accrued a few hundred thousand miles with most of my travel being long-haul international routes. I recently booked a last-minute trip to Long Beach, CA and my options flying out my home airport of Traverse City, MI (TVC) were American, Delta, or United. This time American won the price battle and came in around $200 USD less than the competition. My total round-trip flight from TVC – SNA was $571.70 USD. Instead of flying in LAX, I found a much cheaper rate flying into John Wayne Intl. Airport (SNA), which was closer to my hotel too. I didn’t need any other reason to avoid the LAX craziness. During my return flight, I had a 4-hour layover in Phoenix, AZ (PHX) and I thought that I would see how the American Airlines Admirals Club® (AC) airport lounge compared to the Delta Sky Club®, which I regularly visit during my travels. Here’s what I experienced while visiting two of the Admirals Club (AC) locations inside PHX airport on Monday, March 20 from 11:30 am – 3:30 pm MST. Warm and friendly greeting from both lounge entrance staff. Cleanliness and presentation of snack and drink area. Small lounge and was overcrowded when I entered at 11:30am MST. Soft drinks must come from the bar. No self-service bar. All alcoholic drinks, both complimentary and paid, must come from the staffed bar. Delta offers complimentary premium spirits (e.g. Stoli, Bombay, Bacardi, Jack Daniels, Cutty Sark, Bailey’s), local craft beers, and many have self-service bars. Premium Domestic & Import Beers are only $3 and Specialty and Seasonal Cocktails are $8. In my personal opinion, the Delta Sky Club offers a larger variety of hot & cold snacks. While day pass prices for both lounges are the same, their yearly passes range with Delta’s biggest factor increasing the price being the ability to bring additional guests into the lounge and American’s price ranges based on what status you are in their AAdvantage® loyalty program. According to the American Airlines website, they’re currently renovating many Admirals Club lounges and are launching in the spring of 2017 their new larger Flagship® Lounges for qualifying First and Business Class customers. While the experience wasn’t negative or bad, in comparison to the competition, the AC in PHX falls behind in a few areas. Both Delta & American have the same rate for day passes and are very similar in price vs. benefits for yearly memberships. The Admirals Club in PHX between gate A19 and A21 is small and can easily get overcrowded. Their WiFi speed was also much slower than expected for such a small lounge. When compared to Delta Sky Club that offers a self-serve bar with premium alcohol selections and a larger variety of snacks, the AC in PHX can’t compete. Would I buy another day pass if traveling through PHX on American? No. The airport offers free WiFi through Boingo Wireless and plenty of restaurants to grab a quick meal. If you’re a cocktail enthusiast and have graduated from drinking house booze, you’re going to be paying the same price at the Admirals Club as you would at an airport bar. Just passing through and considering treating yourself to a day pass to the lounge? Skip it and belly up to one of the airport bars to save some money. If you’re already an Admirals Club member traveling through PHX, make sure you head to the lounge above Gate A7 and 9 and skip the smaller one. Did you have a different experience or something else to share about airport lounges? Leave a comment below and I promise I will respond! You'll receive new blog posts directly to your inbox twice per month and special subscriber-only content! No spam, junk, or sharing your email. I promise. You're subscribed and you're awesome! You'll receive new blog posts directly to your inbox twice per month and special subscriber-only content! No spam or junk, I promise.